It isn't just for the rich and famous anymore. It is understandable that most people think of movie stars, professional athletes, or large businesses and business owners as the only ones owning a CCTV (closed Circuit Television) system. For years, these systems have been so costly, that those were the only people who could afford them. Over the last decade, we've seen a steady and dramatic drop in the cost of surveillance equipment. There are still certain types of cameras and Digital Video Recorders (DVR's) that are pretty salty, but those needed for the most common (70% or more) applications are very reasonably priced. A state-of-the-art security system is great for your home or business, but it can only protect what's inside the building. It also doesn't help much with accidents or events that happen internally or when the system is not armed. 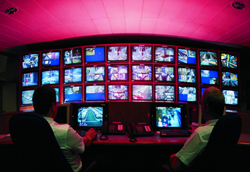 A good surveillance solution is a must for today's security plan! Accidents and lawsuits are one thing, but theft is at an all-time high and on the rise in many areas. Many times, we don't really care or even think about protection until we have been a victim. Then we would pay any amount just to turn back the time. At Guardian Media, we don't want you to ever feel like a victim of circumstance. We want to give you all of the tools you need to be in control and monitor what happens to the things that are valuable to you. We want you to understand how common, but how preventable disasters like this really are. View your property from anywhere in the world! 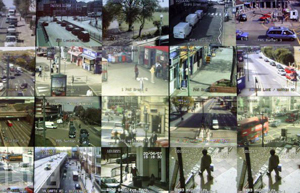 Many of our DVR units have the ability to view all cameras remotely. Typically, with a decent broadband connection and some programming, we can have you going in no time at all. 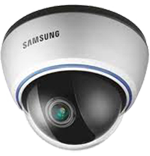 Imagine being on vacation or on a business trip, and being able to view every camera in your home or business over the internet. You can check to see that a child made it home safely from school, or that he's really doing his homework. It's also great for viewing your business or employee performance remotely (i.e from home). These systems are cost effective, but will pay for themselves over and over again in saving you from theft, dramatically increasing employee performance, and in convenience! We'd estimate that about 80% or much more of the camera systems sold today are using outdated technology. This is alarming! How do we know? Well, because we used to sell the equipment. Unless we get a special request from a client, all of our cameras are capable of the same image quality as a high-definition Blu-Ray movie or better! So before you buy some "easy" install kit off the internet or accept another company's offer, consider that there is a greater than 80% chance that you are being sold on grossly outdated analog equipment. Our cheapest camera is 22 X's the quality of any analog camera out there. Analog cameras can give you up to a 720p X 480p or "D1" image, while our entry-level cameras give you at least a 1920p X 1080p or "1080p HD" image. Check out this one-page chart to compare the images HERE. Admittedly, to some, it doesn't. But it should. If your whole reason for purchasing a system is just to say that you have one, then buy the cheapest system humanly possible. If your reason for purchasing a system is to collect real and useful data, then consider one of our digital HD systems. There is a huge chasm of difference between an analog D1 camera image and a 1080p HD image. It is the difference between seeing that someone or something is there verses seeing who or what it is. It is the difference between seeing that a license plate is probably yellow verses reading the numbers off of the license plate. The choice is yours. We are not here to push any choice on you. We just give you the information we have and price everything super competitively. You can contact us right now for a free and no-pressure estimate!